Get a FREE Pint of Paint! I consent to having Fisher Paints collect my details via this form. 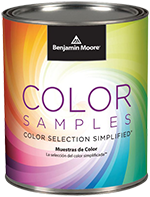 Join our mailing list and get a 100% FREE pint of Benjamin Moore paint! Success! Check your email for the free paint sample coupon! Be sure to check your spam folder if it does not arrive in your inbox. We take your privacy seriously. No spam! Connect with us for ideas, tips & more!